Feb. 20, 2014—C. Lee Parmley, M.D., J.D., professor of Anesthesiology and chief of the Critical Care Division of the Department of Anesthesiology, has been named chief of staff of Vanderbilt University Hospital. He assumed the position Feb. 17. Feb. 20, 2014—The Monroe Carell Jr. Children’s Hospital at Vanderbilt commemorated its 10th anniversary with an employee celebration Wednesday.  Feb. 20, 2014—Vanderbilt University Medical Center has revised the existing Code Silver/Active Shooter policy and will require faculty, staff and house staff to complete an Active Shooter Training Module on VandySafe as part of the annual performance evaluation. Vanderbilt’s School of Nursing and School of Medicine students are also required to complete the Medical Center training module. Feb. 20, 2014—Joel Musee, M.D., Ph.D., a second-year resident in Vanderbilt’s Department of Anesthesiology, has been selected from a national pool of applicants to serve on the Accreditation Council for Graduate Medical Education (ACGME) Review Committee for Anesthesiology. Feb. 20, 2014—Richard Kim, M.D., former professor of Medicine and clinical pharmacologist at Vanderbilt, will deliver this year’s Grant R. Wilkinson Distinguished Lecture in Clinical Pharmacology at 8 a.m. Thursday, Feb. 27, in 208 Light Hall. Feb. 20, 2014—Muktar Aliyu, M.D., associate professor of Health Policy and Medicine, is receiving the William Kane Rising Star Award from the American College of Preventive Medicine (ACPM) at its annual banquet on Saturday in New Orleans. Feb. 20, 2014—The American Thoracic Society (ATS) is presenting John Newman, M.D., professor of Medicine, with its Outstanding Educator Award during the ATS 2014 International Conference in San Diego, May 16-21. Feb. 20, 2014—Rebecca Cook, Ph.D., assistant professor of Cancer Biology, has spent her life trying to understand what makes things grow, from seedlings in soil to tumor cells in the body.